Since the end of the 1980 coup d’état Turkey has been in the midst of a complex process of democratization. Applying methodological pluralism in order to provide a comprehensive analysis of this process in a Turkish context, this book brings together contributions from prominent, Turkish, English, French, and Spanish scholars. 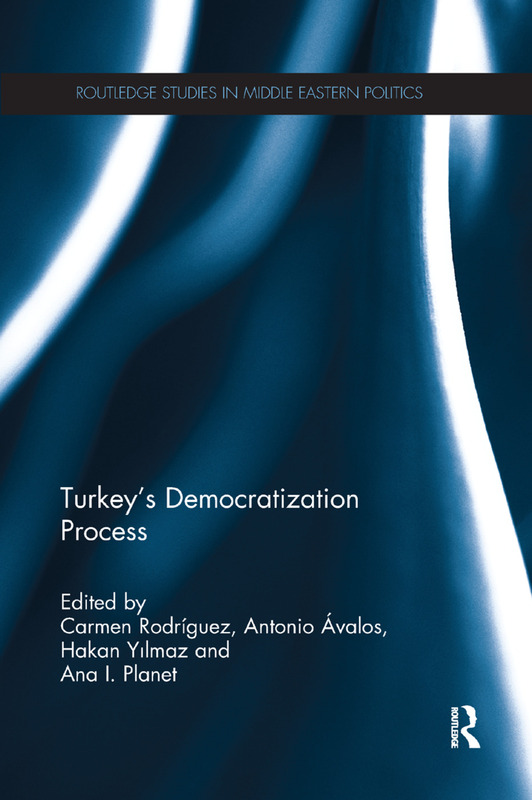 Turkey’s Democratization Process utilises the theoretical framework of J.J. Linz and A.C. Stepan in order to assess the complex process of democratization in Turkey. This framework takes into account five interacting features of Turkey’s polity when making this assessment, namely: whether the underlying legal and socioeconomic conditions are conducive for the development of a free and participant society; if a relatively autonomous political society exists; whether there are legal guarantees for citizens’ freedoms; if there exists a state bureaucracy which can be used by a democratic government; and whether the type and pace of Turkish economic development contributes to this process. Examining the Turkish case in light of this framework, this book seeks to combine analyses that will help assess the process of democratization in Turkey to date and will be of interest to scholars and researchers interested in Turkish Politics, Democratization and Middle Eastern Studies more broadly. The Istanbul art scene – a social system?